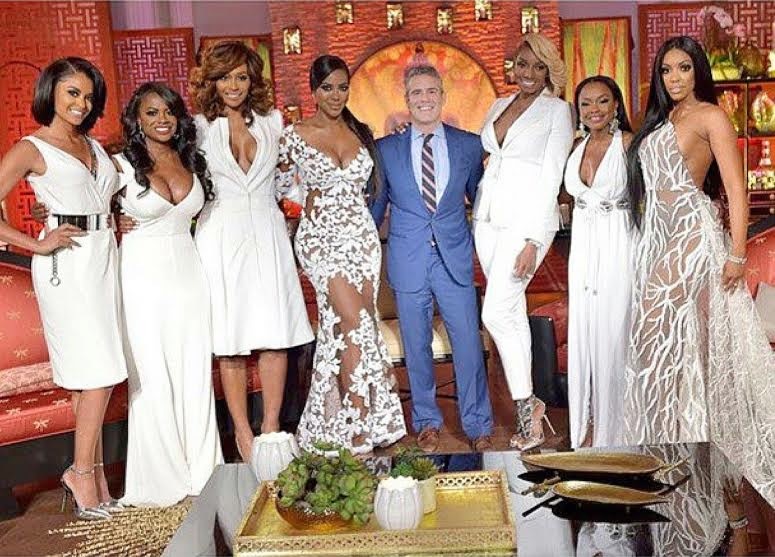 'Real Housewives of Atlanta' Reunion Sneak Peek + Kandi Burruss' Spin-Off Show & Her Clapback on Instagram - Ooooooo La La! The Real Housewives of Atlanta's three-part reunion was taped last month in Atlanta and will air on Bravo on Sunday, April 26 at 8 p.m. ET/PT. The three-part reunion will rehash all of the season 7 drama between the ladies. Cynthia Bailey, Kandi Burruss, Claudia Jordan, NeNe Leakes, Kenya Moore, Phaedra Parks and friend Porsha Williams will all sit with reunion host, Andy Cohen. One thing we shouldn't expect this season is any fighting like on the last reunion. But, it looks like Nene Leakes and Kandi Burruss get into an argument. I also hear Demetria McKinney didn't get an invite to the reunion, but she has told fans that while the reunion was taping, she was in Chicago performing at the Black Women's Expo. Check out a clip from the reunion below! Kandi is getting her own spin-off show! The Real Housewives of Atlanta: Kandi's Ski Trip is a three-part special that premieres Sunday, May 17 at 8 p.m. on Bravo. 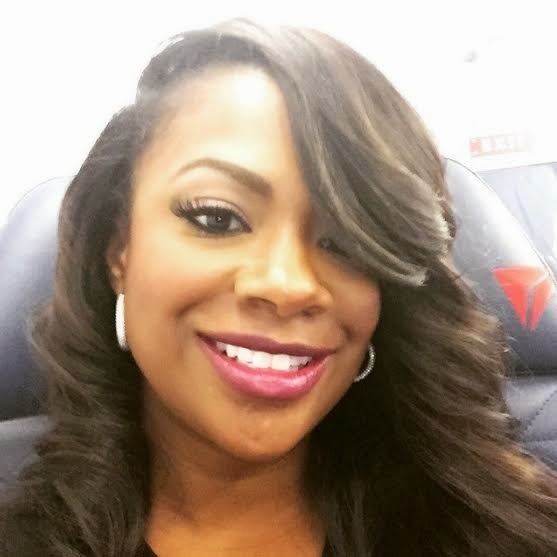 The show will center around Kandi and her husband, Todd Tucker who plan a Burruss-Tucker family ski vacation to Colorado to take their mind off of Todd’s mother Sharon’s sudden passing. Their a newlywed couple trying to blend their families together while also trying to get pregnant. Kandi quickly gathered an Instagram user who didn't understand why the RHOA reality star was getting her own show. 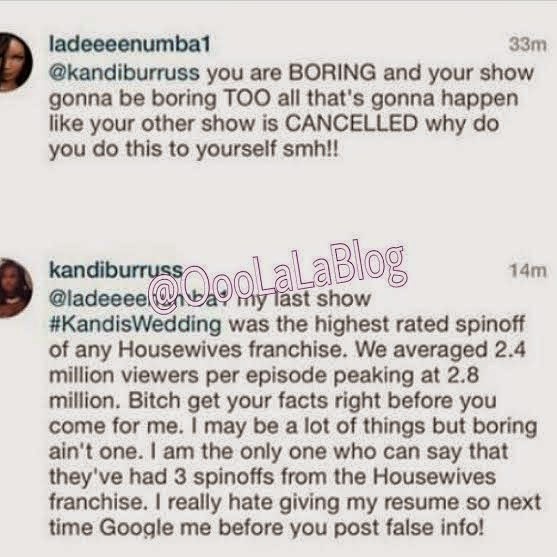 Instagram user @ladeeeenumba1 called Kandi and her show boring and Kandi clapped right back. Peep the exchange below! Bloop! You better Google 'Kandi Burruss' before coming for her. Try again! Lol.